Having recently returned from my second visit to Sierra Leone, I have been reflecting on the last year of our collaboration project with Reseach4Life. The project aims to advance research in Sierra Leone through supporting and developing the capacity to use and produce research literature. While INASP is actively working to support colleagues in Sierra Leone, they are helping us to understand more about the conditions necessary to advance research both in Sierra Leone and elsewhere. In September 2013 we made a scoping visit to Sierra Leone to meet with as many people connected with the higher education and research sector as possible, learning about their successes, challenges and aspirations. It struck us how many people were determined to make a success of re-building the country after the war. We recognised the familiar challenges we meet in many of the countries in which we work: inadequate electricity and telecommunications infrastructures, and lack of library budgets, which are magnified in Sierra Leone. However the overwhelming commitment of individuals in the university system to address these challenges and increase research output makes it a suitable time for us to begin working there. There are around 7,000 students in each of the two universities (University of Sierra Leone and Njala University). Teaching is the main priority within the universities. Research tends to be linked to consultancies or practical outcomes. Academics would like to publish more, but, as elsewhere, have to balance research with their teaching responsibilities. There is one journal published regularly and four more which have first issues. All would like more guidance on publication processes and standards. There are a large number of academics who left the country during the war returning now with increased understanding of what is possible and a commitment to bring their country up to international levels. Access to current research literature is very limited. We met some researchers who obtain their reading/research needs informally from former colleagues and supervisors, and others who overcome the connectivity issue by paying for their own internet connections. While institutional internet connectivity is via limited VSAT connection at the university campuses (e.g. 4Mbs at Fourah Bay College, distributed among the departments), a fibre optic cable is expected to be connected within the next year. Although our plans for Sierra Leone originally focused on increasing awareness of the over 20,000 thousand scholarly e-journals and e-books already available, we quickly learned during our visit that we needed a more holistic project. 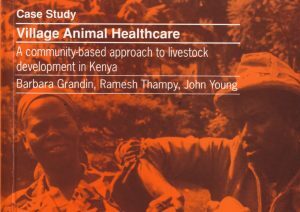 Therefore, we included activities from across INASP’s SRKS programme, including training in managing access to online research literature, research writing (through the adaptation of AuthorAID materials for offline and self-study use) and publication skills through an AJOL workshop for editors. Many years of experience have shown us that it’s not enough to simply provide access to research literature. For it to be used, researchers and academics need a reason to be reading –an ambition to get their own work published and visible is an important driver. Our experience elsewhere has shown the vital importance of involving senior academic and research leaders as early as possible. We wanted to run these ideas past this influential group face-to-face, providing an occasion to assess the opportunities and possible barriers to supporting access to online research literature, and thus research, teaching and learning capacity. This was achieved through a Symposium, with plenty of time for discussion following short presentations by the Vice Chancellors, INASP, a University of Sierra Leone librarian and a representative of the Consortium of Academic and Research Libraries of Ghana (CARLIGH). The Symposium highlighted the enthusiasm we had noted within Sierra Leone to move forward swiftly to address research needs. Prof. Ekundayo Thompson, Vice Chancellor, of University of Sierra Leone (USL) spoke about “organisational retrospection” and “organisational renewal” as part of its effort to become increasingly relevant to national development priorities. He noted new developments including forming strategic partnerships through memoranda of understanding with international and local institutions, a new ICT directorate and plans to roll out wi-fi connectivity in all three USL institutions. The Director of ICT at Njala University responded very swiftly and calmly to changing plans and arranged a similar Symposium, at which Professor Abu Sesay, the Vice-Chancellor at Njala University outlined some of his institution’s achievements in its relatively short history as an autonomous institution, including wireless internet connectivity covering key areas on the Njala campus. Professor Sesay believes that Njala University’s geographic location – in the centre of the country — gives it the ability to impact all regions of the country, particularly some of its affiliated polytechnics. The priorities of the university leaders chime with the recommendations of the Government Agenda for Prosperity around improvements to the ICT infrastructure, power supply and education levels. The universities are making efforts to become increasingly relevant to national development priorities, and as part of this move, are developing national and international strategic partnerships. I think one of the things which has pleased me most about the Symposium t was that INASP was not there! We had hoped to be, but due to a series of cancelled flights, were unable to attend at the last minute. After a couple of long and apologetic phone calls, our colleagues, Dr Helena Asamoah-Hassan from Ghana, and Ms Miriam Conteh-Morgan from the Institute of Public Administration and Management, USL very capably stepped in and reorganised the programme. I really enjoyed the experience of being a catalyst, providing some materials and suggestions, and seeing how much was accomplished. I did finally make it to Freetown and was privileged to jointly facilitate a workshop on online research literature management and use, for librarians and ICT personnel. Ms Conteh-Morgan, who has recently returned to Sierra Leone from the United States, eager to offer her many skills to her home country, spoke on the challenges facing researchers in Sierra Leone. While highlighting the need for improved access to current literature, she challenged librarians to become more proactive in marketing library resources and services. Through access initiatives like Research4Life and INASP’s own programme, over 20,000 scholarly, full text items are already available. The participants are able to cascade this training to library and academic colleagues in their institutions, and, within a month of the initial workshop, much has already been done in this area. It was especially encouraging to see that the energy and commitment at the leadership level is also in evidence in the librarians and ICT personnel. Since the workshops, a coordinating team has already been formed of USL and Njala staff, spanning librarians and IT staff and they are keen to extend the work to other institutions, and to form a consortium. As we have worked with Sierra Leone over the past year, we have been able to build our own understanding of the conditions necessary for to be able to work in a country. People – with energy, vision, drive and enthusiasm. The Vice Chancellors in each institution have clear vision and commitment, have appointed innovative ICT Directors and, in Miriam, IPAM and the library community has a real “mover and shaker”. 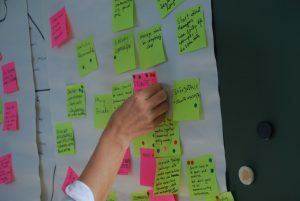 Timing – the project comes at a point where the government and institutions are looking into increased research resourcing, including the provision of research literature and library improvement. Infrastructure – while a long way from satisfactory, this is improving, as demonstrated by the move to offer campus-wide wi-fi on the three Freetown campuses of USL and that already in place on Njala campus through VSAT. Local ownership – we have moved very swiftly to a position where INASP’s role is one of support, sharing and provision of training materials, with Sierra Leonean colleagues managing activities and follow on training. There is already a strong coordinating committee, hoping to become a consortium within the next year. 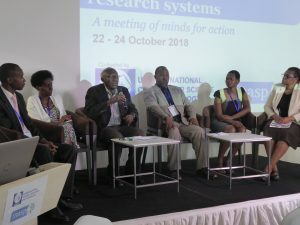 INASP network – in many sectors, Ghana serves as the model for Sierra Leone, so we have been very pleased to be able to build a link with the Consortium of Academic and Research Libraries of Ghana (CARLIGH). So, this project is allowing us to share our experience and continue to learn as we adapt our approach to fit the situation. It confirms what we thought might work (such as the training of librarians and ICT staff) but also allows us to include new features, such as training journal editors. We have learned much from Sierra Leone and recognise the role of our colleagues there in helping to shape our future thinking about research capacity. Great to read this detailed update. Being involved in INASP’s online training initiatives, I’m always concerned about the connectivity issue. When I was in Tanzania recently, the university where I was facilitating a workshop did have wi-fi, but it wasn’t always available. On a typical day there would be some interruptions, and it was completely out for a day or two in between. Not too bad on the whole, but there’s a big difference between even 75% uptime and at least 95% uptime, the latter being the one that “connected workers” might be used to. 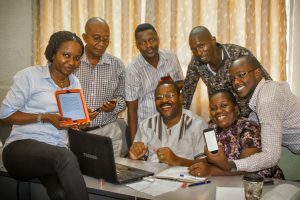 With less-than-ideal wi-fi uptime, a backup connectivity option is needed, and this is usually in the form of USB modems, which nearly every person at the Tanzania workshop had (one of them even had 3 modems!). In my opinion, both institutional wi-fi and personal modems/data plans may be important for developing country academics. I suppose this means a combination of institutional and personal commitment to solve the problem of connectivity. Its good to learn through the experience of Anne how institutions in Sierra Leone are working hard under very difficult circumstances to ensure that teaching, learning and research is uplifted. This reminds me of how far we have come with INASP from days of old when internet was unheard of in our institutions to a level where we can boast of optimum access and the research arena is really thriving. There is hope for Sierra Leone because with the commitment from the different players, the education sector can be revived. We wish them all the best in their endeavors and where possible, we are willing to share experiences.